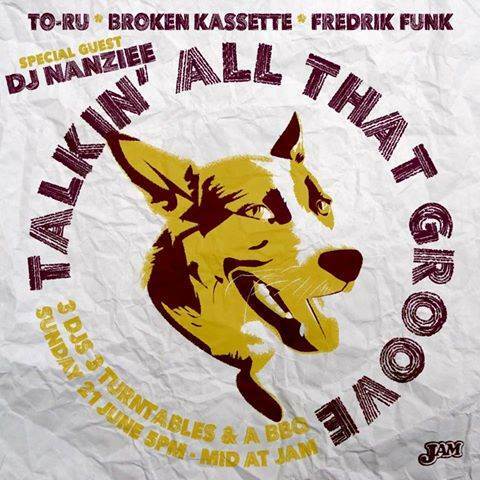 Talkin' All That Groove - the cumulation of musical fitness from 3 individuals: DJ TO-RU, FREDRIK FUNK & BROKEN KASSETTE. One Japanese cat with a background in the mystic art of turntablism, one half Thai half Swedish audiophile jazz freak and one Thai indie music producer / drum n bass DJ. Joined by special guest, crate digger DJ NANZIEE (Vinyl Feeling).